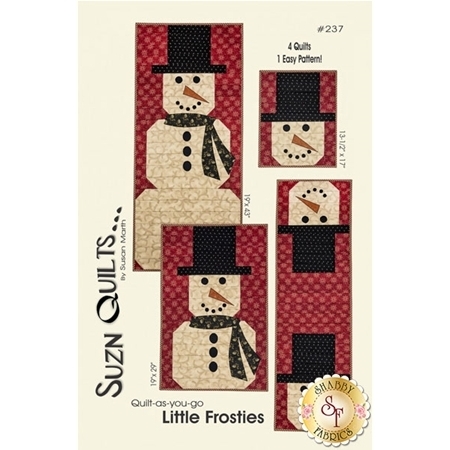 Create four cute holiday quilts with this one easy pattern by Susan Marth of Suzn Quilts! These darling snowman projects are sure to add that festive frosty touch to the holiday decor in your home this winter season! Tall Quilt finishes at approximately 19" x 43". Short Quilt finishes at approximately 19" x 29". Table Runner finishes at approximately 13½" x 44". 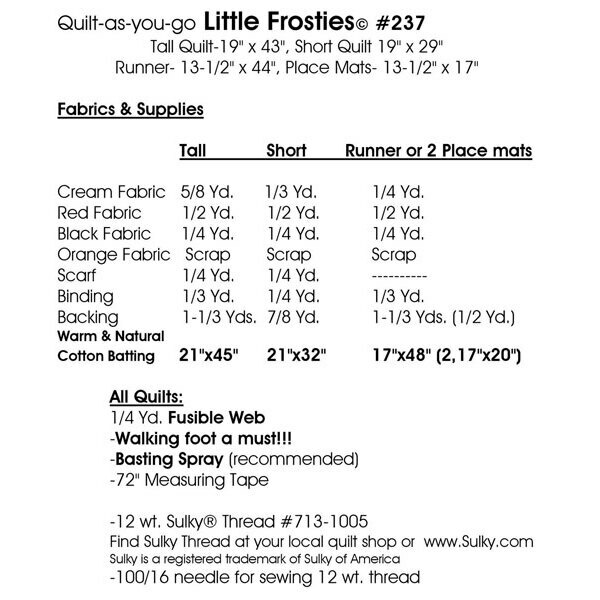 Placemats finish at approximately 13½" x 17".